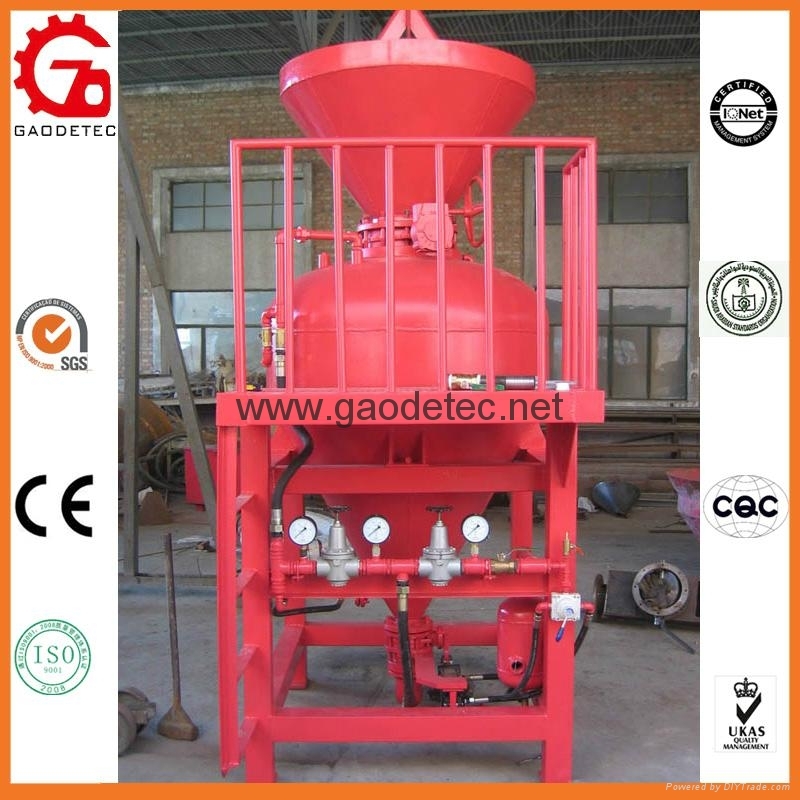 GD-BP refractory gunning machine adopt Japan technology and it is widely used in iron and steel industries for furnace lining, brick lining, and castable lining repair work of electric furnace, converter, ladle, metal mixer, iron runner, etc. 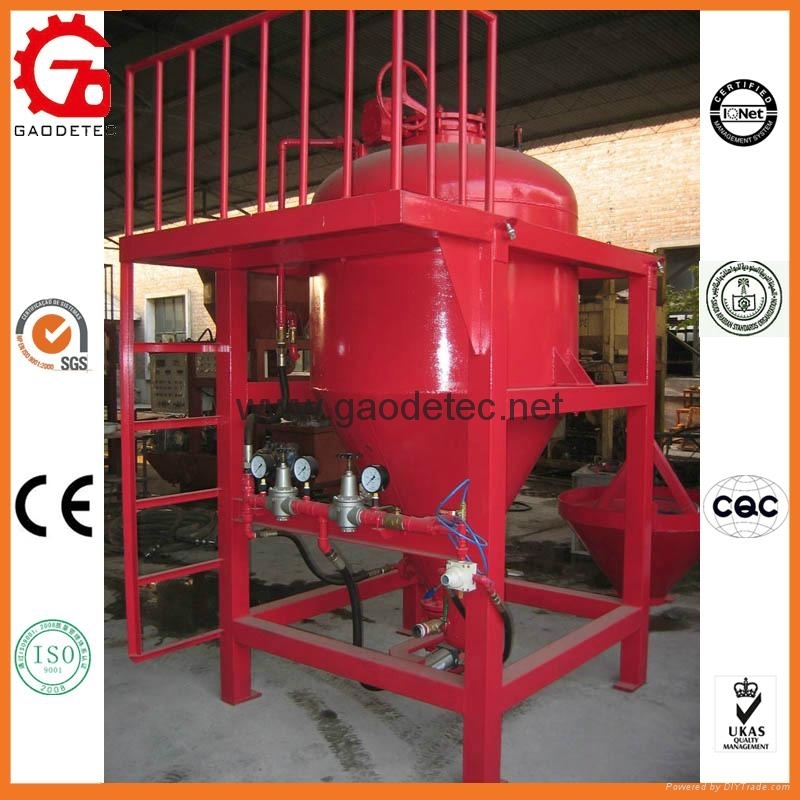 GD-BP gunning machine with tank type pressure vessel charging structure, convey material to spray gun by air conveying principle, and then spray after the mixing at the special designed water jet near the spray gun. This machine is easy to operate and maintain, and very durable. Match bunker or hopper according to customers’ requirement. GD-BP0.39 can be made with wheels. Working condition: compressed air: pressure ≥0.5Mpa, pipe diameter≥32mm, Flow≥6m³/min. water: pressure ≥0.2Mpa, pipe diameter≥20mm, Flow≥15m³/min. 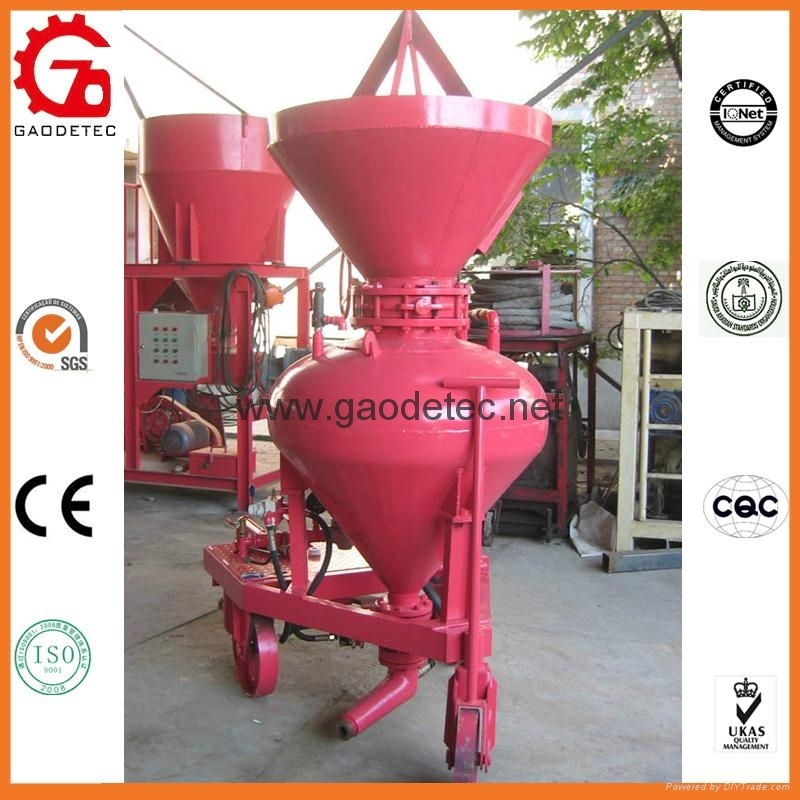 Supply: Main machine, bunker or hopper, water jet, spray gun and nozzle, conveying hose for air, material and water.